Data acquisition hardware and software offer unique waveform storage and analysis features particularly useful for medical research applications. WinDaq in tandem with Advanced CODAS analysis software has been applied in a wide range of medical research (MR) applications; a market segment notoriously demanding in both price and performance. An understanding of the reasons for this success begins with a look at the design objective of all WinDaq products and how these relate to typical MR measurements and analysis. For many decades the traditional chart recorder was the focal point for all data acquisition in the MR lab. 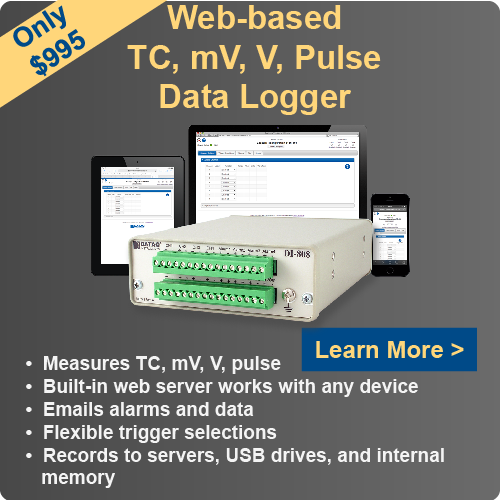 This product combined the two major attributes of any data acquisition process: A true real time display that forms a continuous picture of the signals being acquired; and simultaneous data storage to facilitate later review and analysis. The simple process of the recorder’s pen writing on the paper forms the real time display, and the paper record itself acts as the storage media for analysis and review. Not until WinDaq could this apparently simple process be duplicated by a personal computer. WinDaq is the only PC-based product that combines continuous disk streaming for data storage with patented hardware-based graphics to form a real time display plotting every acquired point the instant it occurs. Simulation by WinDaq of chart recorder performance is further enhanced by allowing event markers with comments and time and date information to be stored along with waveform data. This information enhances the review and analysis process by providing a complete record of what happened, when, and why. A major disadvantage of analyzing the paper record of a chart recorder is lack of flexibility. The paper record forms a binding, one dimensional view of acquired data that cannot be adapted to computer-based analysis. In contrast, the playback package provided with WinDaq combines the speed of review enjoyed with a paper record with limitless display and analysis flexibility. Acquired waveforms may be expanded and contracted in amplitude, re-calibrated, hard copied, overlapped, compressed in time, and exported. They may be plotted versus each other (X-Y), plotted in the frequency domain (FFT or DFT) and analyzed statistically. These procedures and many more employ our patented display technique yielding astonishing capability in contrast to chart recorders, and unrivaled PC-based performance. To further enhance the analysis and interpretation of acquired waveform information, Advanced CODAS offers a range of analysis tools that may be applied individually or in any combination. The design of these software-based tools was closely patterned after their analog forerunners. For example, a waveform integrator utility is provided with four reset methods and a built-in rectifier. Pass any length of flow information to the integrator and generate a volume waveform as a calculated channel of equal length. Other tool box functions include a differentiator, moving average filter, stand-alone rectifier, beat-by-beat peak and valley detector, report generator supporting any spread sheet, and a formula interpreter allowing the combination of waveforms mathematically. Table 1 presents a number of applications where WinDaq has been used to solve typical medical research-oriented problems. Although many more exist, these represent the essentials of medical research activities. The table is organized by application discipline (i.e., cardiovascular, electrophysiology, and pulmonary) and for each category a number of typical waveforms and analysis procedures are presented. As an aid to clarity, the scientific unit of measure is shown both before the analysis (acquired units) and after (derived units) since one of the more popular applications of Advanced CODAS is unit transformation (e.g., deriving volume in milliliters by integrating flow in milliliters per second). In all cases, the analysis procedure is performed by Advanced CODAS, WinDaq Waveform Browser playback software, or a combination of both. For example, a calculated channel generated by the Advanced CODAS integrator utility does not require any WinDaq Waveform Browser operations aside from simply reviewing the result of the operation. However, if the intent is to view the integrated signal vs. another channel, WinDaq Waveform Browser’s X-Y facility would be activated to display the relationship.